For Hard Working Hands Relief for dry, rough or cracking skin. Rub some in and soothe those hard working hands! 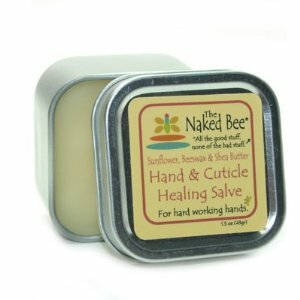 Organic Sunflower Seed Oil, Beeswax, Shea Butter and Cocoa Butter combine to form a soothing salve. Comes in a 1.5 oz tin in Naked Bee's Orange Blossom Honey Scent.